A very spacious three-bedroom apartment in a modern design only two minutes from the beach. The apartments is part of a new exclusive development with great onsite facilities, such as adult and children´s pool, playground area and large communal areas. The property features an open plan design and fully fitted kitchen with high quality materials for high energy efficiency. Private parking space included. 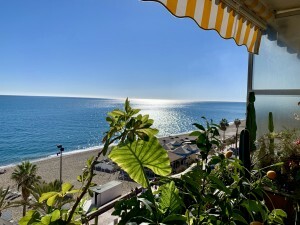 The beach, restaurants and shops all close-by and only 20 minutes from the airport and Marbella.